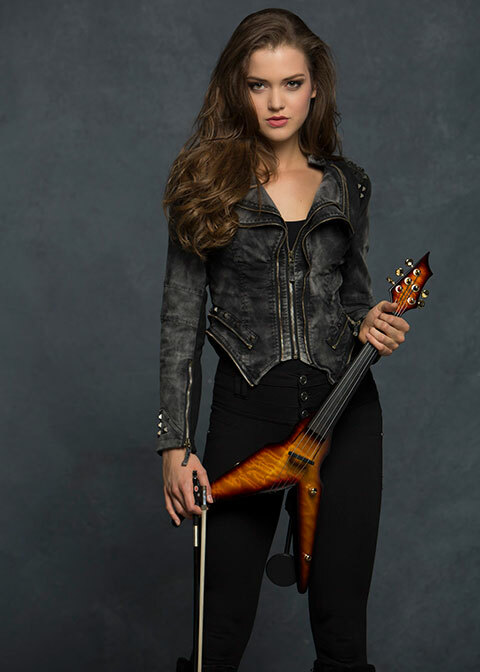 Singer, songwriter, violinist and professional model Abigail Stahlschmidt started playing violin at the age of 4 along along with private voice lessons. Her many years of experience in chamber music have included holding the title of concert mistress in 3 orchestras starting at the age of 6 and winning the Marie Stilwell Young Artists Concerto Competition at 12 years old-where she performed as featured soloist in concert with the Alton Symphony. Abigail received a full ride scholarship at the University of Missouri-St. Louis at the age of 15 where she studied under Julliard-trained violinist John McGrosso and his colleagues of the renowned Arianna String Quartet. Realizing that she had a passion for more than just classical music, Abigail started to explore alternative styles in her early teens. She says, “I started fiddling for almost any band that would have me and delved into everything from country to rock to jazz to contemporary christian.” Her first big show was at the Family Arena in front of 10,000 people where she performed as guest artist with a BonJovi Tribute Band on the famous “Who Says You Can’t Go Home.” Of the show she says, “The place was packed and the adrenaline rush walking onto that stage was like nothing else. That show was a real catalyst and solidified for me that I wanted to be a performer.” Since then, Abigail has joined many artists and bands playing shows at venues such as the Missouri Botanical Gardens (also in front of 10,000 people), the Touhill Performing Arts Center, Jazz at the Bistro, the Kranzberg Theater, and the Old Rock House among many others. Her discography includes recording on albums like TransSiberian Orchestra guitarist- Christopher Caffrey’s “Your Heaven is Real” and her own EP collaboration with Eric Strothers entitled “ The Merge: Subliminal Intent.” Abigail’s music has been featured on the soundtrack of the full feature film “Four Color Eulogy” and her voice-over work can be heard as the voice of Lara Croft in Lara Croft: Relic Run for iOS and Android. 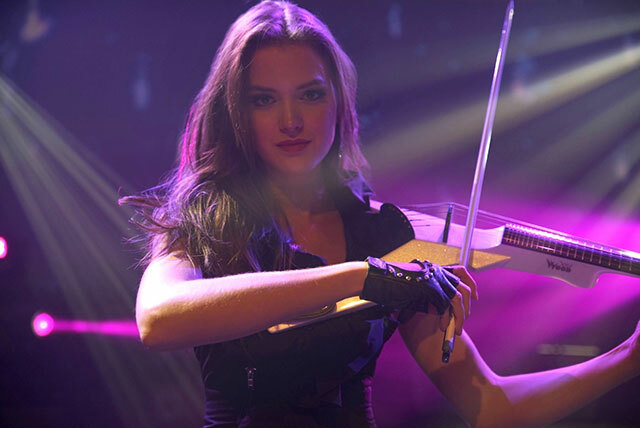 This summer Abigail headlined as the lead violinist for 50 Symphonic-Rock shows in Branson all the while working on her own Country-Rock music. She will be coming out with this original music soon which features her talents as both a vocalist and instrumentalist. Abigail recently received the endorsement of Mark Wood- the creator of the Viper violins- and now joins his “Artist” roster alongside other world-class Wood instrument players. In addition to her music, Abigail is a professional model signed with six agencies across the United States and can be seen frequently in commercials, on magazine covers and in advertisements for major designers, department stores and boutiques. She is currently the face of Mary Kay’s new perfume Clever. Abigail just released her music video- a violin cover of Prince’s Purple Rain. Stay tuned for more to come!